7s rugby rules, simply rugby with some rule variations making it a faster, shorter game. Know your rugby and these variations. 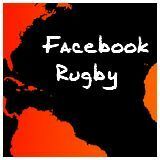 Rugby sevens or Seven-a-side rugby as it used to be called or 7s rugby or rugby 7s !!! has become very popular over the years. The game of Sevens is played in festival-like, knock-out type, fun-filled competions rather than home and away fixtures like normal rugby. Many Sevens competitions are held locally and Internationally the best known probably being the Hong Kong Rugby Sevens. It`s a very fast game played at top speed with wide open spaces. 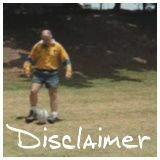 Although with a reduced number of players the game is still played on a full size rugby pitch. There tends to be a light-hearted atmosphere less pressure and more room to move. So it`s not always the fancied teams that win. Teams with players prepared to throw the ball about, keep the ball alive, take a few risks (only calculated ones, of course!) and use plenty of rugby sidesteps provide outstanding entertainment and often surprise everybody. In "cut down" rugby numbers are reduced, running skills and crafty footwork become more important. The scrum is reduced from 8 to 3 players, just the front row. The backs have the usual scrumhalf and flyhalf but only one centre and one wing instead of two of each. There is no fullback, wing covers that role. You need the good skills and knowledge of how to play that you need for any other rugby. Find it here! Get what you need when you explore the rest of the site. Almost all you will find is just as valuable in 7s as it is in any other rugby. When you have top skills you will excel in 7s rugby. Your good passing, dummies, change of pace and evasion skills are great for the less crowded game. Law 3. Number of players and substitution. Not surprisingly this variation specifies a maximum of 7 players per team on the rugby playing field at any time. Law 5. Time(Game time, half time and extra time). Play is only seven minutes each half or ten minutes for a competition final. Law 6. Match Officials. Minor extra duties for the match official and the addition of in-goal judges one at each end of the field. Perhaps extra officials are needed because the game is so fast and open. The nature of the game means it`s not so easy to defend in depth. Often one sidestep is enough to get a run straight through to the try-line. The referee would not be expected to keep up with play and someone is needed to be well placed to make decisions. The in-goal judges will be right there when you score loads of tries! Only 7 players so more space! There are many more one-on-one encounters. Evasion skills are much more damaging. You'll find all you need on evasion on the sidesteps page. More on 7s at UR7s.com.